Today SUV is actively tested on the European countries roads. 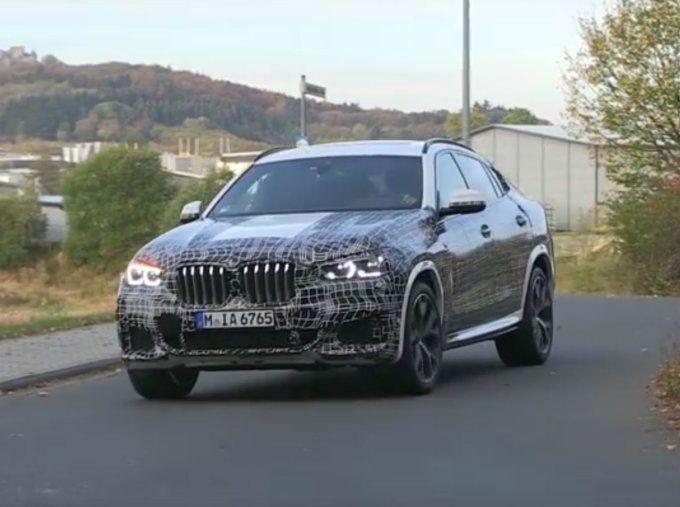 Images that hit the Web show updates for the BMW X6 2020. Among the new visual differences seen front optics, rear lights, as well as all the bumper, and in the front bumper appear side air intakes of increased volume. Paparazzi, most likely, captured the crossover in the "M" modification. BMW X6 will be driven by a V8 gasoline engine with a 2nd turbocharged supercharger. Its volume will be 4.4 liters. We add that a similar engine is present in the BMW M850i ​​xDrive Coupe.